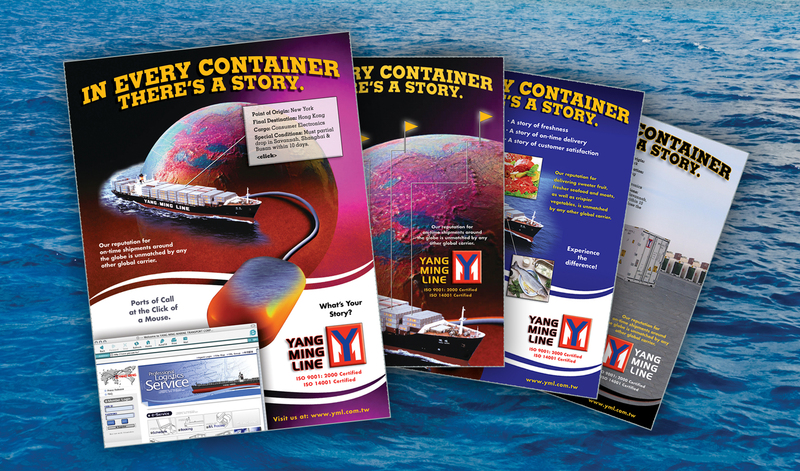 Situation: Yang Ming Line was a family business with three small container ships operating exclusively in and around Asian ports. 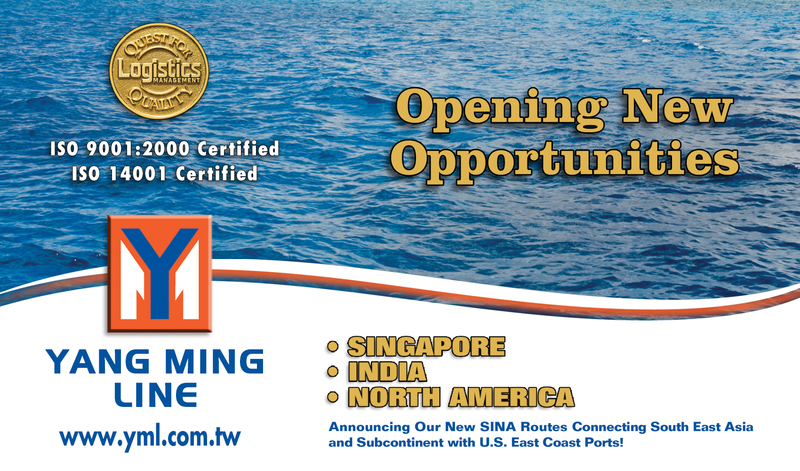 With a new generation taking the reins, the family wished to expand its fleet and its capabilities to become an international shipping line with ports of call around the world. The key to accomplishing their goals lay in opening up the U.S. market and increasing the number of ports they called at. Challenge: With aggressive pricing and a ‘can-do’ attitude, management was convinced the U.S. market would welcome their services. However, based in Taiwan and speaking only Chinese, management had no idea how to communicate in a relevant manner with the American market. Solution: A small advertising agency in Queens, NY with a track record of successful development in the shipping industry, Kelly Media Associates implemented a full-scale blitz through advertising and public relations efforts in U.S. Trade publications. C8 developed and implemented a strongly branded, print campaign focusing on the speed and agility that only a smaller shipping line could provide. 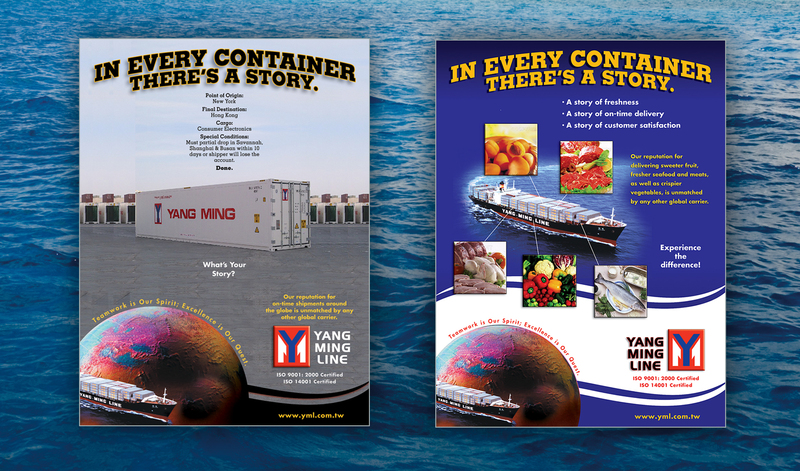 The campaign headline, “There’s a Story in Every Container”, supplied the gateway for a series of ads and articles highlighting customer stories that differentiated Yang Ming Line from its monolithic competitors. Incorporating the theme into all of their messaging vehicles, customers (and even ports of call) were invited to submit their stories for consideration. 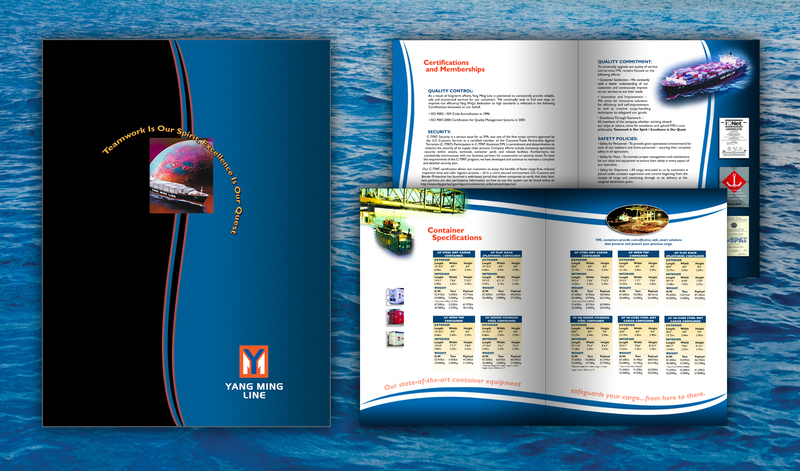 Inclusion in YML’s materials gave their customers added exposure as well as a sense of ‘family’ that helped promote customer loyalty. 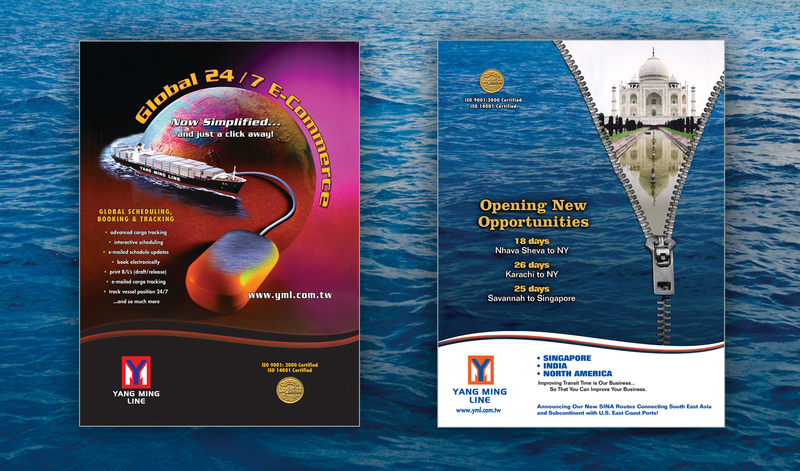 Advertising campaigns evolved through the years as YML became larger and better known, eventually settling into announcements of new ports of call. 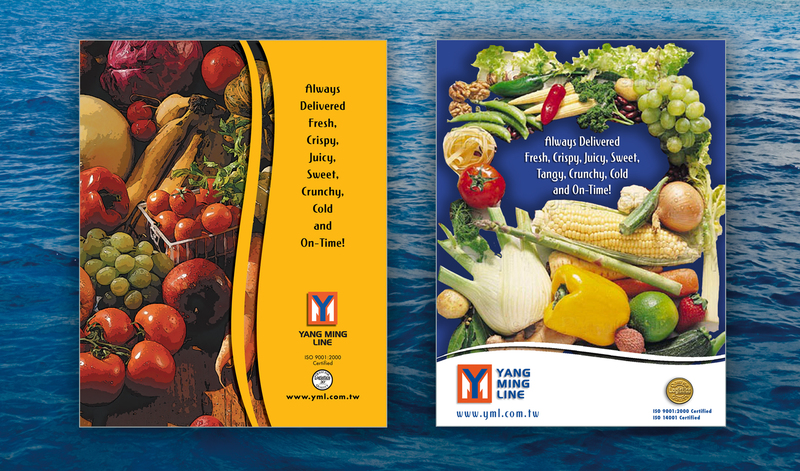 Result: Yang Ming Line has grown in one generation from a family business with three small ships to an international contender with over 100 ships and 95 ports of call. We’re proud to have supplied the U.S. advertising that helped make the family’s dreams a reality. 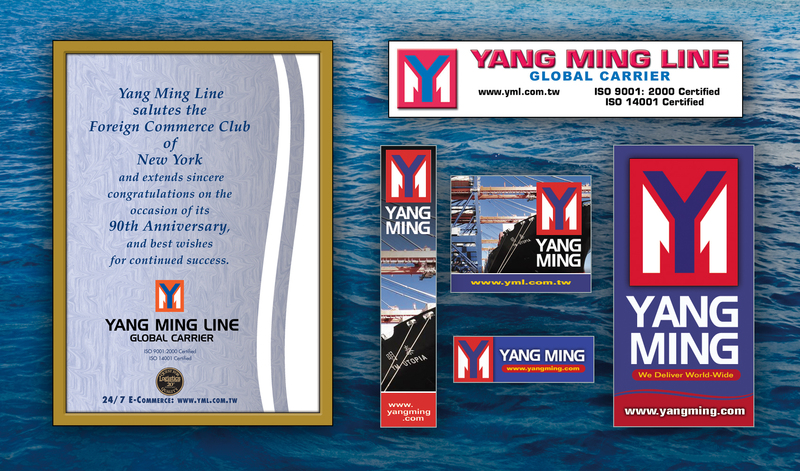 “As the sole creative sources for Yang Ming Lines’ U.S. advertising and marketing efforts since the mid-nineties, Steve and Sandy have helped Yang Ming Lines grow from a small 3-ship company to an international force of 100+ container ships sailing to over 95 ports around the globe.